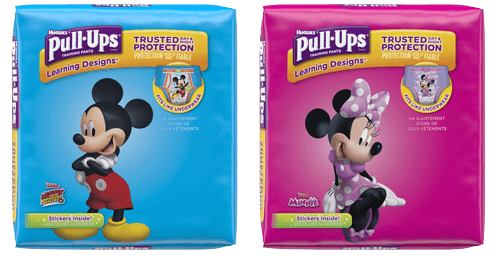 Kinda Sorta Potty Trained: Why is my child not Potty Trained Yet? Most children make the potty training leap around their third birthday. Your little learner will start to get the hang of it, and will use the potty consistently in some situations, but not all. For example, he'll poop in the potty at home, but only pee at school. Some kids seem to stay stuck in a “kinda-sorta trained” phase forever — they’re simply too interested in friends, fun and fruit snacks to care about the load in their pants. Setbacks happen — it’s all part of the learning process as new skills are learned, seemingly forgotten and then embraced again. Be patient! You’re getting there. Setbacks can happen, especially when your little one is sick or stressed. Simply provide supportive cleanup assistance and work to help the child feel better. Wiping is one of those skills that can take quite a while to master. Post-poop wiping is a complex process that requires a lot of motor skills and coordination, so don’t be surprised at how long it can take to master. So until your little wiper becomes an expert, be ready to help with wiping for as long as it takes. Starting too young. New research shows that pushing the potty training process at too early an age is linked to a higher risk of constipation and other potty problems. Chronic constipation. These kiddos DO poop each day — but they simply don’t get it all out. This can all add up to potty training difficulty for both poop AND pee. Please see an experienced doctor to help with this problem, and work with your pediatrician and/or specialist to fix constipation. Your child has turned 4 and you’re not making any progress. Okay, this is a signal that it’s time to call in the potty professionals. Don’t be afraid of asking for assistance — your doctor, nurse or child development specialist can really help. Regression. Regression is when your child has been fully potty trained, but then you notice a marked change in potty behavior. Once a child is completely potty trained, any potty regression from that point onward is usually caused by illness or stress, so contact your child’s healthcare provider immediately.